From $24.95/mo. and as low as $19.95/mo. each additional phone! 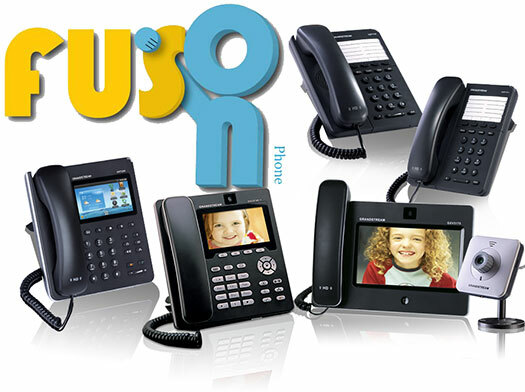 Phone Solutions provides hosted VOIP telephone service for small businesses of 3-25 phone applications. Fusion Phone can make starting and managing a new business a breeze. We can design and implement a complete PBX solution in as little as 24 hours! Phone Solutions offers the perfect small business phone service in the Sarasota and Bradenton areas. With features that you would expect from a full featured stand alone phone system and convenient web portal for station administration Fusion Phone is a great choice for ease of installation and flexible features! Enable incoming phone calls to be received at different locations, on different phones so you won't miss important calls. Transmits a caller's name & number to the called party's telephone equipment so you can greet callers more personally and get a head start on their file. Allows you to maintain the original caller's identity when forwarding an inbound call to you cell phone or other phone so caller ID convenience follows you on the road. Recording of some or all calls to and from employees for improved customer service and quality control. Allows Voicemail to Email & ability to check voicemails through the web portal so you can stay on top of your clients needs from anywhere. Phones available to rent to keep out of pocket costs as low as possible. When compared to a hardware system and standard CO lines. call toll-free (855) 374-1234 option #3.